Great starter boat. Compacte and easy to rig the mast, easy to to with the single axle trailer with override brakes, in good condition. Unregistered. 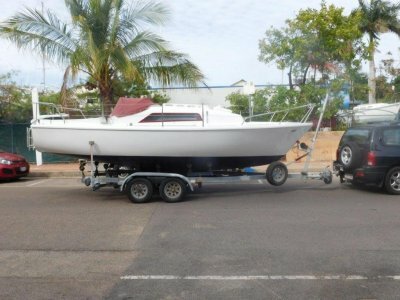 These boats have the reputaion of being stable and easy to handle, Has a near new Mercury 3.5hp outboard, 2 sails and is ready for fun on the . . .
Well thought out trailer sailer on a good, tandem trailer. English design believed to have been manufactured in W. A. Under licence. 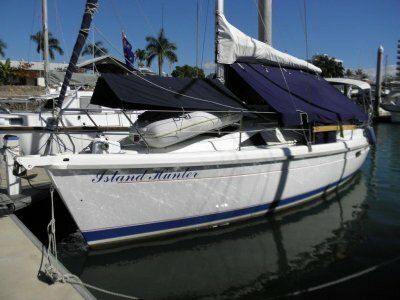 Great social sailer that performs well Boat presents in lovely, very clean and tidy condition, after 2 pack paint job, inside and out. 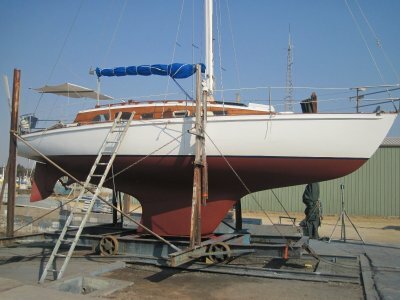 Great starter yacht at a . . .
Harrison Butler 28, steel yacht designed for the rigors of the north sea conditions, Refit in 2014 saw a 2 pack paint job, some new electronics, new spray dodger and boom cover, new engine had been installed in 2013 and very low hours now. 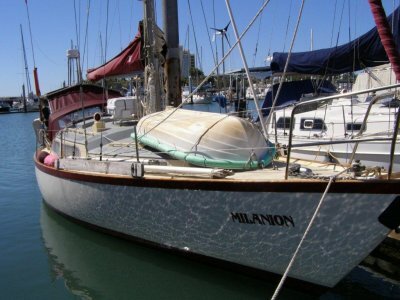 New mast and standing rigging in 2012. This boat has lovely . . . The best I have seen. 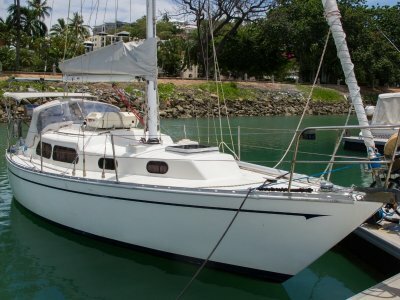 This boat is immaculate and has had many upgrades and a first rate level of maintenance in recent years that makes it truly "ready to go" and you would have to look hard to find any money to spend on it. 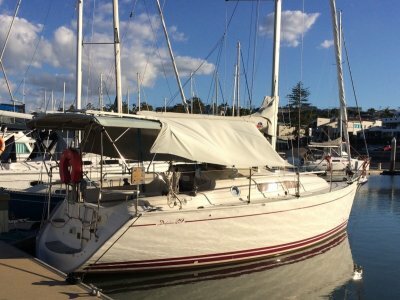 Recent antifoul, december 2017 and propspeed on prop. New 29HP . . .
ABSOLUTE BARGAIN !! 2007 Sanctuary Cove demonstrator, heavily optioned, with more recent upgrades including solar panels, bimini, shade awnings. 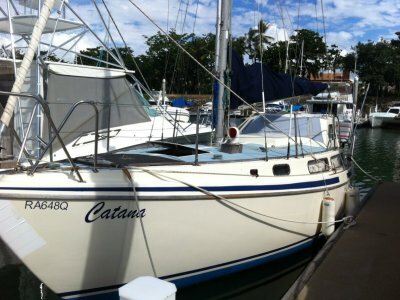 These boats are extremely spacious with 2 private double cabins, enclosed head, L shaped galley, 12V fridge, HWS, etc etc. This boat is a pleasure to sail . 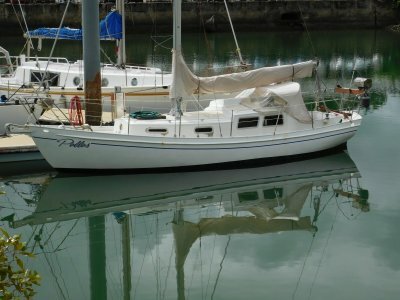 . .
IMMACULATE is an apt description for this spotlessly claen and well maintained yacht. Extremely spacious inside with Hunters clever use of space, with large double aft, good, well equipped galley, great entertainer saloon lounge with large polished timber table. Recent new boom bag, spray dodger, . . . Built by De Keer in Canada, well respected in Canda and USA as being strong very well built boats with good resale value. 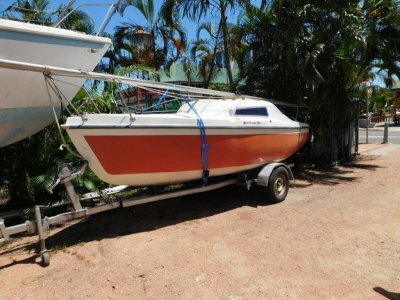 Solid firbreglass construction, spacious interior, good headroom, this boat has been lived aboard and cruised and is in very nice condition. New engine in 2008, new oversize . . . Renowned seaworthy, seakindly yachts with sparkling performance, able to sail close to the wind, an extremely responsive yacht. Solo circumnavigaters in these boats include Jon Sanders, '81-'82, David Hicks, 96-97, Jesse Martin, 99-2000, and our favorite Jessica Watson. An ideal easily . . .
NEW BOAT. 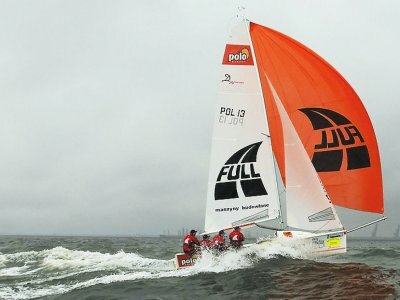 The Delphia 24 ONE DESIGN regatta boat was developed as a joint venture between the Polish Regatta Association and Delphia Yachts and Powerboats. Designed by the renowned naval architect, Andrzej Skrzat, with the objective of bridging the gap between high performance swing keel boats and . . .